Battle of Bataan Re-enactment 2010! 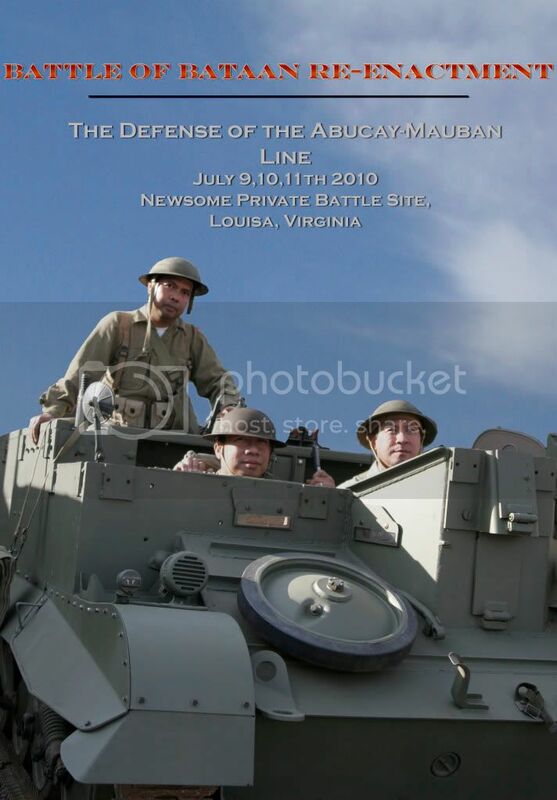 The Defense of the Abucay-Mauban line. The US 31st Infantry and the 57th Infantry Philippine Scouts will once again defend the line. I was told that there will be about 20 to 25 Japanese re-enactors coming to this event. Those who can, pls come and help us defend "Bataan". What happened to the 2011 event? I heard it was cancelled? Was it and do they plan to hold the event again? I may be able to get a few more 31st Inf. and possibly a couple of MTBS 3 boys together for a naval detachment. I don't think the 2011 was cancelled per se. I think they didn't plan one at all since one of the main organizers had to go to Afghanistan. Haven't heard of any planned for this year though. Word should eventually get around if another tactical is planned in the future. Someone will post any info.